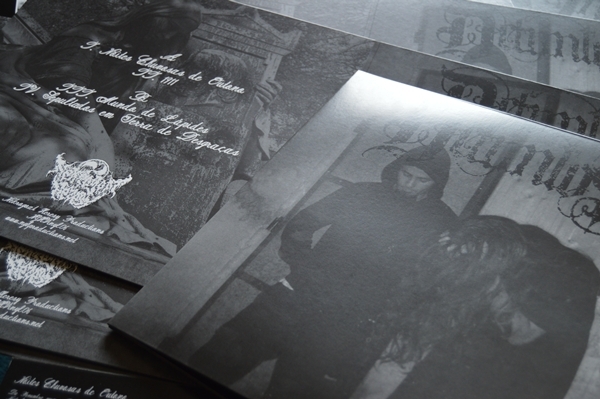 “Mundo de Lápides” is the first demo from this now cult Portuguese Doom Black Metal band and after being sold out for many year, is now available once again in a 12” vinyl release, limited to 200 copies. Raw, Crude and Putrid Doom Black Metal. This is the re-release of the very first Defuntos demo-tape released back in 2006. 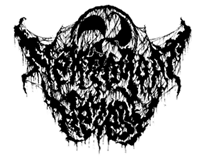 By now Defuntos are well known for their doomish approach to Black Metal and this recordings are the must crude and dark examples of their sound and devotion to their music. This demo is not only important as part of the bands history, but it is also a very important part of Nekrogoat Heresy history! Besides worshiping this very unique, crude and minimalistic recordings, this Demo was also a very important factor on the decision to start Nekrogoat Heresy activity, founded on the very same year of 2006! This is one of the Demos that made me go forward with the intention of giving my own contribution to the underground extreme metal. Not only a new release, but a statement of devotion to the roots of the label and the band’s unique sound.